14 x 20" Dome Shape Clear Shrink Basket Bags. These dome top shrink wrap bags are made from 100 Gauge clear PVC and fit odd shape baskets and containers. 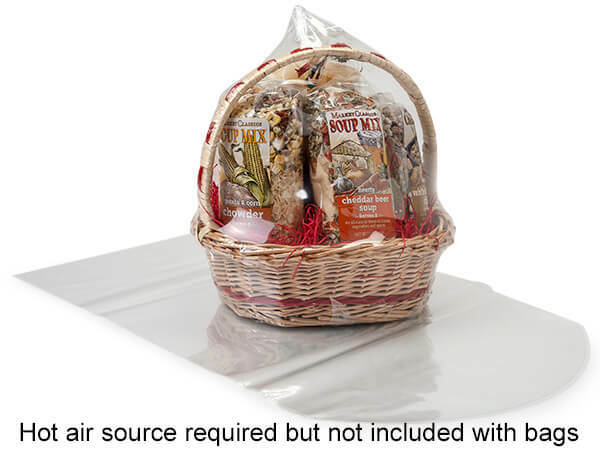 Clear shrink wrap basket bags are made from 100 gauge PVC film. Variety of sizes available in flat and dome top. These high quality clear bags handle low shrink temperatures.